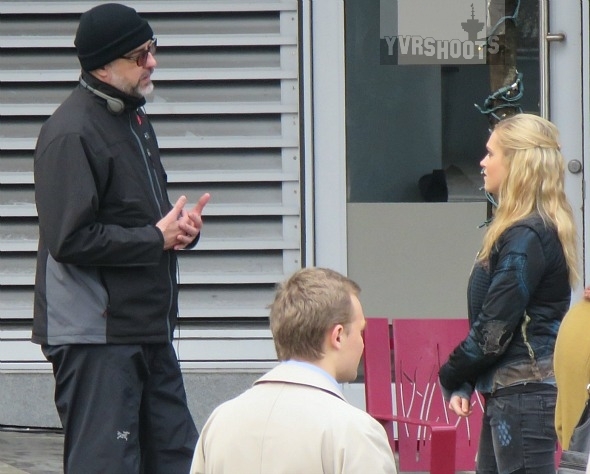 A stone-faced Clarke (Eliza Taylor) walks through a city of smiling people, including Jasper. What is going on? 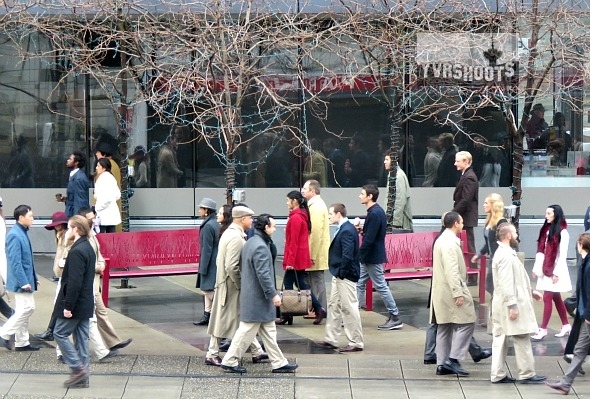 Is she in The 100’s equivalent of the Matrix? 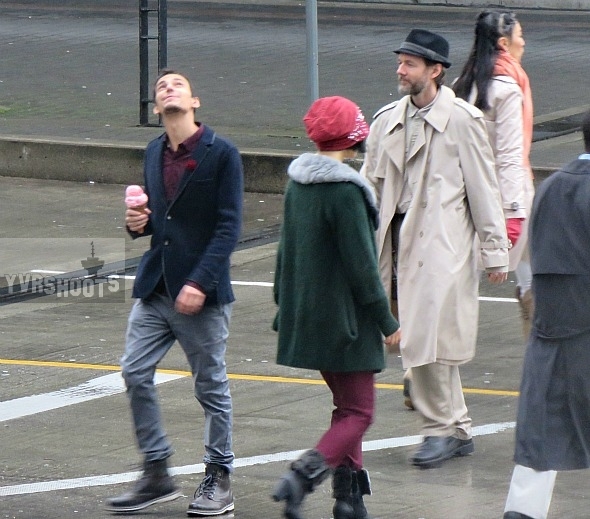 Jasper (Devon Bostick) is almost stupidly giddy, eating his ice-cream cone. 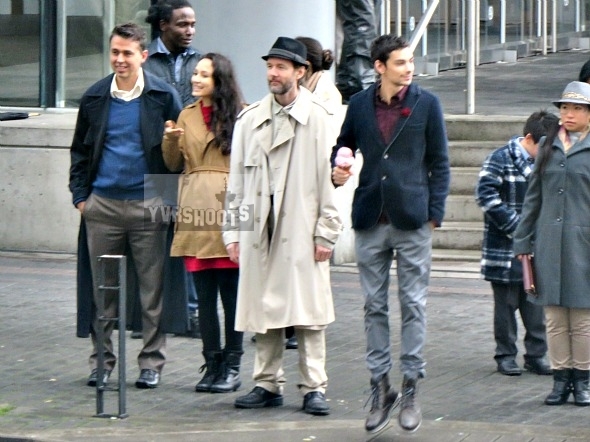 Devon Bostick had fun playing happy. Jumping up and down and dancing. Jasper passes Clarke, who follows him up the street. 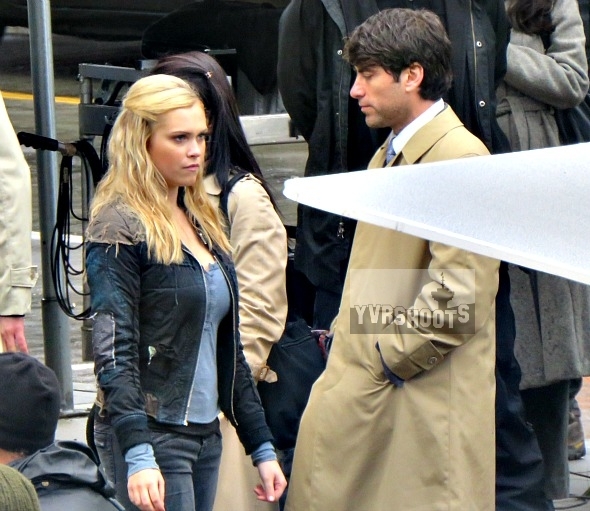 Clarke runs into Jasper sitting on a bench. Sandra Olsson’s video. 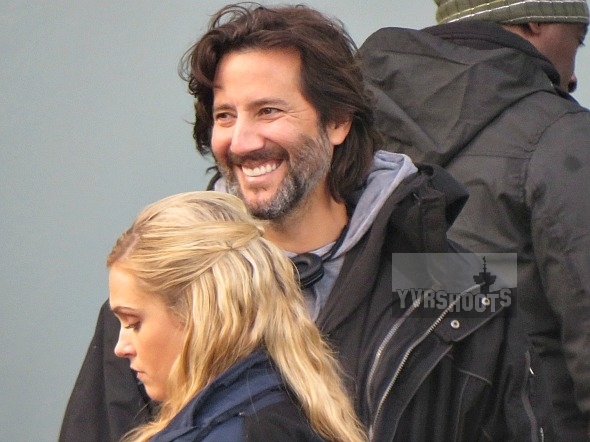 Jason Rothenberg. 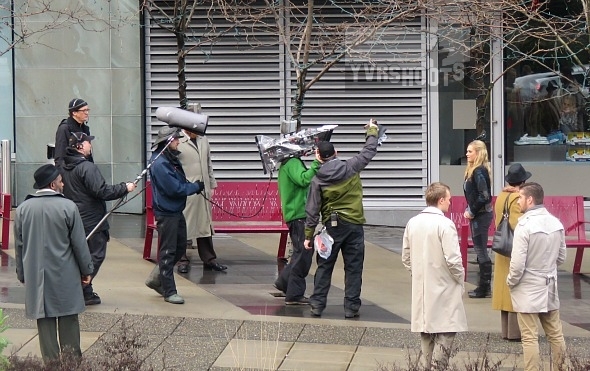 Director Dean Winter. Off camera. 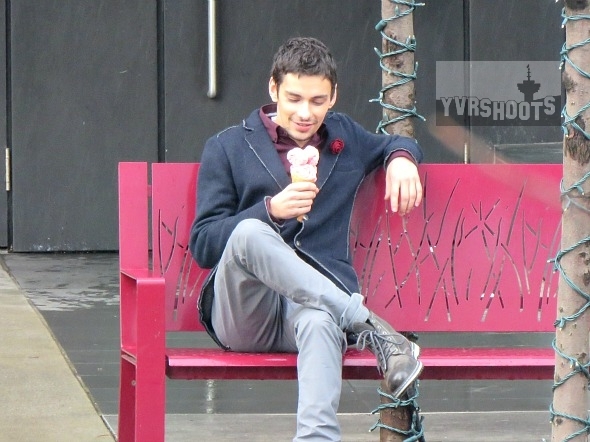 Devon Bostick and Eliza Taylor relax on bench between setups. Devon Bostick and Shawn Mendes in a photo from season 3 premiere. 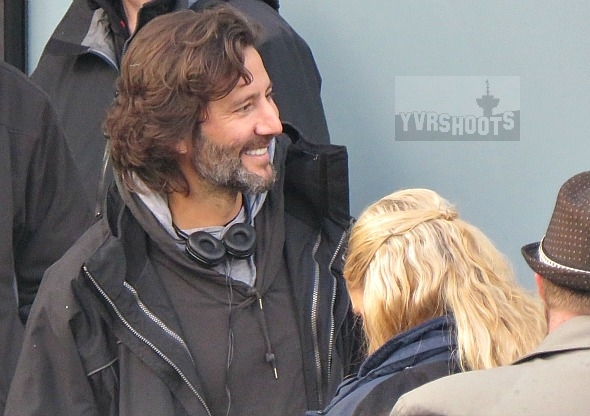 Henry Ian Cusick on set.